You’ll need someone in your court with a background on financial and business transactions. An experienced business attorney can help you prepare necessary documents and close the sale. You’ll want to lay out all finances to see how they may impact your personal wealth. You also won’t want to let the stress of the sale process lead to missed deadlines or late filing of documents. There are a lot of planning, structural, legal, and financial issues involved with the sale of a business, so having an experienced business attorney will be critical to ensure you’re making the right decisions. Before thinking about selling, get all of the business’ financials in order. Buyers are most interested in seeing the sales figures for the past 12 months. Instead of focusing on past success or future potential, give the buyer hard facts like profit and revenue of your business. Buyers want to purchase a profitable company, not a fixer-upper. Preparing your financials and making your business as appealing to potential buyers is the quickest way to sell your business. You will need to have proof of your financials that can be verified, so be sure to organize invoices, bank statements, and deposit records. 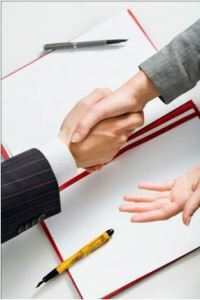 Selling your business may be the right exit strategy for you. If you are thinking about selling, contact the experienced team at Structure Law Group today.